I technically made 20 cards but I made 4 of each of the 5 designs so there are not 20 unique cards. I used some sketches as inspiration and will link them below. This was actually the last card I made when I ran out of sketches so no link for this one. This one was made with the Sweet Sunday Sketch 266. This was made with the Operation Write Home Sketch 191. This one was made with a Kraftin Kimmie Stamps Sketch. This one was made with a Studio Calico Sunday Sketch. If you love sketches feel free to follow my Card Sketches Board on Pinterest and if you're looking for places to donate cards check the link at the top of my blog or click here. Mix all together and you will create the most gorgeous and fantastic cards to share with your friends and family that are baking fans! So hop on through and see what the design team has “whipped up” to inspire you! All the ingredients for this great recipe can be found over on our Flavor of the Month page! Hello crafty friends! 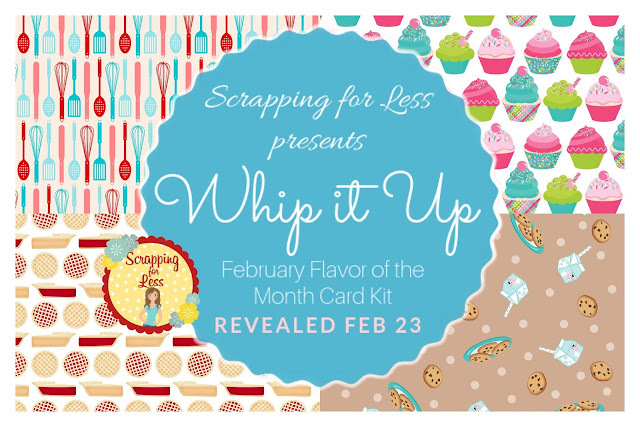 I'm excited to share with you the latest Scrapping for Less kit of the month. I am a big fan of Scrapping for Less kits and I'm always able to make a bunch of cards with their kits. This month's baking theme was fun to play with. Believe it or not I didn't own the Lawn Fawn pie set and was happy to use it for some fun hello cards and store it away for Thanksgiving. Gotta love stamp sets that work for holidays and all year round. I was a little pressed for time this week and didn't get to color up Mini Baker Marci from LaLaLand Crafts but here's Mini Heart Cookies Luka and he is too cute! And that apron paper was probably my favorite paper from the whole kit. Last but certainly not least, in fact it's my favorite stamp set, is the Scrapping for Less exclusive Cookie Mouse! Isn't he just adorable! I LOVE the fun pattern paper from his collection too. I hope you enjoyed seeing a few cards from the kit and if you keep hopping you will be sure to get even more inspiration! The next person on the hop is Mary! Hello crafty friends! Today I have another 6x6 Paper Pad tutorial featuring Doodlebug. I am obsessed with Doodlebug 6x6 pads because it is so easy to create a bunch of cards without using many extra supplies. I think their designs are adorable and I can easily whip up a bunch of cards for card drives like Cards for Hospitalized Kids. If you want more info on donating card please check out my Card Drive Resources page. So today I'm using the Doodlebug Hello Collection 6x6 paper pad while making 35 cards! To see it all in action check out the video. I made 2 of many designs because this paper pad came with 2 of each sheet but there are some unique cards. Keep scrolling to see pictures of different designs and get some measurements. 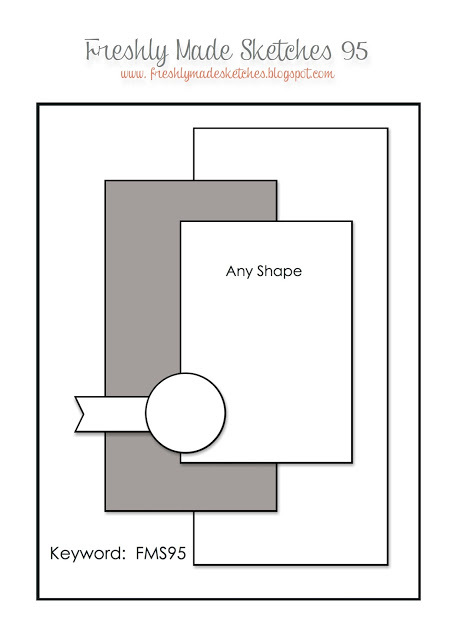 Measurements for this card (in inches): A2 (4.25 by 5.5) card base, largest layer 3.5 by 4.75, strip 4.25 by 1.25, small rectangle cut apart 2 by 1.5, cardstock mat 2.5 by 2 (Made 2). Based on Freshly Made Sketch 226. 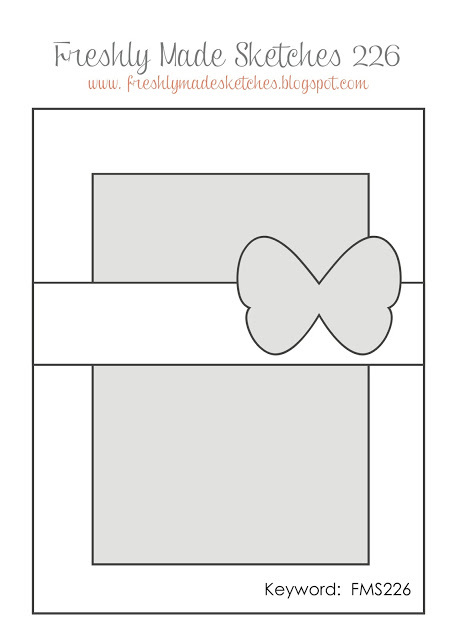 Measurements for this card (in inches): A2 (4.25 by 5.5) card base, large square 3 by 3, large rectangle 2 by 3, thin strip .5 by 4, small rectangle cut apart 2 by 1.5, cardstock mat 2.5 by 2 (Made 2). Loosely based on Operation Write Home Sketch 170. Measurements for this card (in inches): A2 (4.25 by 5.5) card base, largest layer 3 by 4, thin strip 5 by 1, small strips 3 by .5, small rectangle cut apart 2 by 1.5, cardstock mat 2.5 by 2 (Made 2). Based on Operation Write Home Sketch 191. Measurements for this card (in inches): A2 (4.25 by 5.5) card base, largest layer 3 by 4, thick strip 5 by 2, thin strip 1 by 3, small rectangle cut apart 2 by 1.5, cardstock mat 2.5 by 2 (Made 2) Based on Freshly Made Sketches 95. 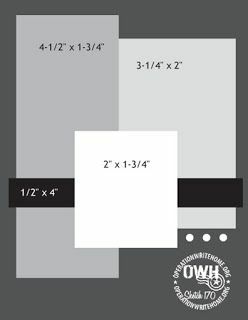 Measurements for this card (in inches): A2 (4.25 by 5.5) card base, largest layer 3 by 4, thin strip 5 by 1, banner strip 1.5 by 3.5, small rectangle cut apart 2 by 1.5, cardstock mat 2.5 by 2 (Made 2). Based on Operation Write Home Sketch 191. 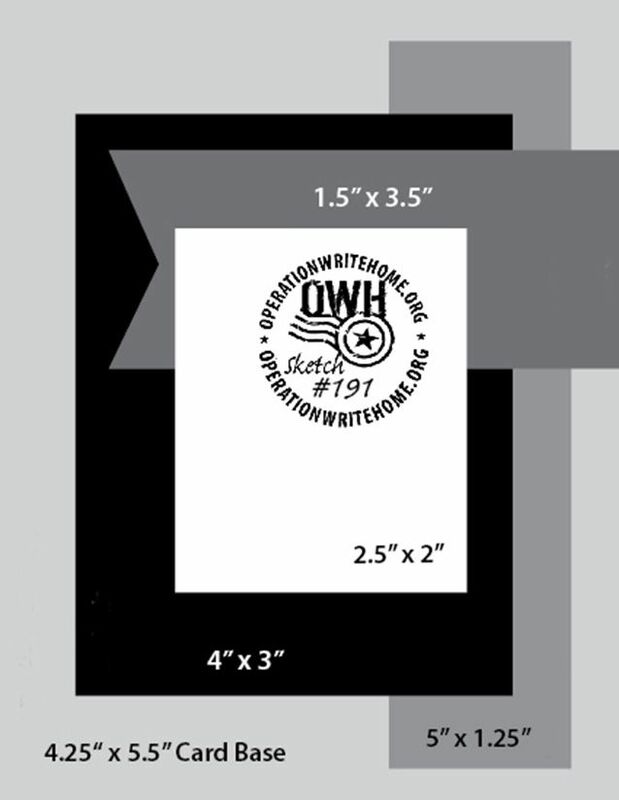 Measurements for this card (in inches): A2 (4.25 by 5.5) card base, largest layer 3 by 4, thin strip 5 by 1, banner strip 1.5 by 3.5, small rectangle cut apart 2 by 1.5, cardstock mat 2.5 by 2 (Made 2) . Based on Operation Write Home Sketch 191. Measurements for this card (in inches): A2 (4.25 by 5.5) card base, largest layer 4 by 3, large strip 2 by 5, thin banner 3 by 1, small rectangle cut apart 2 by 1.5, cardstock mat 2.5 by 2 (Made 2). Based on Freshly Made Sketches 95. Measurements for this card (in inches): A2 (4.25 by 5.5) card base, largest layer 3 by 4, thin strip 5 by 1, pink strip 1.5 by 3, small rectangle cut apart 2 by 1.5, cardstock mat 2.5 by 2 (Made 2). Based on Operation Write Home Sketch 191. Hello crafty friends! Welcome to my stop on the Kat Scrappiness Blog Hop and Sale to benefit the Coffee Oasis! There are a ton of amazing sponsors for this hop who are offering prizes, discounts, and a portion of their sales will be benefiting The Coffee Oasis charity. If you not already read about this awesome organization and blog hop there is more info in my post or you can start HERE at the beginning. Today's card includes a lot of great products from the super sponsor Kat Scrappiness where you can get 15% off and 15% of all sales will benefit The Coffee Oasis. That beautiful background die is called Fancy Floral and the cute little bunny from Merry Critters is mounted on a Stitched Scalloped Circle die. There are two ways to participate and win in this blog hop! Option One: Create a winter themed card and enter it into the blog hop. If you are entering your card to the blog hop, just click on "Add Your Link" at the bottom of the list and follow the instructions, it's quick and easy! If you have any questions on how to enter the blog hop, please contact us and we will be happy to help. Option Two: Leave a comment on the blogs and YouTube channels participating in the hop! We will pick a super commenter to win a prize too! At the end of the hop, (on December 13th) we will randomly choose the winners and they will win fabulous prizes from our sponsors! (Prizes listed below) All winners names will be posted on our blog and we will attempt to contact everyone who leaves their contact information. If prizes are not claimed within 7 days, another winner will be chosen. Please keep in mind that the following sponsors have agreed to donate a portion of their sales during this hop to the Coffee Oasis so please visit them and remember that if you place an order, you will be donating and supporting Coffee Oasis as well! These sponsors are also providing prizes to the hoppers as well! Kat Scrappiness is offering 15% off EVERYTHING IN THE STORE and is donating 15% of all sales during this blog hop to Coffee Oasis! Use coupon code: COFFEEOASIS to save! We are also giving away gift packages! 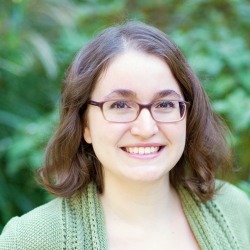 Jessica Lynn Original is donating 8% of all sales during the blog hop to Coffee Oasis! The following sponsors have generously donated prizes to give away to our hoppers and visitors! 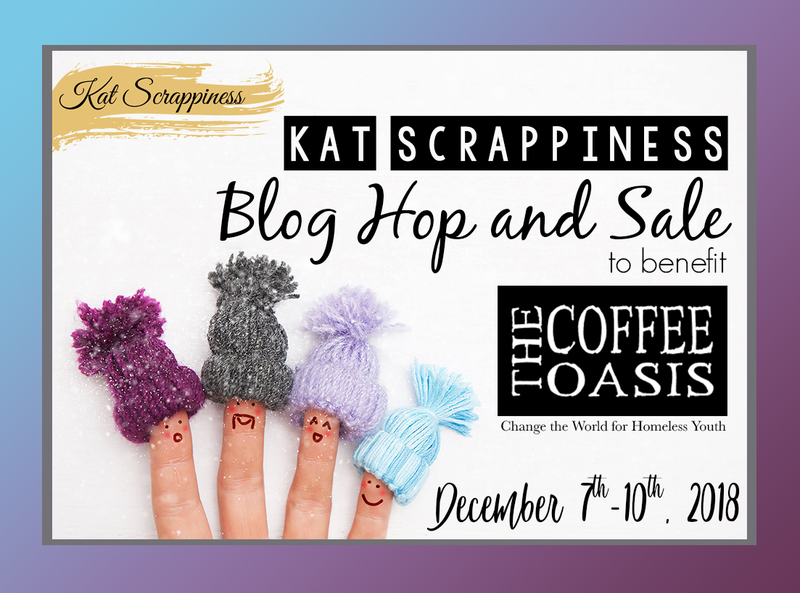 Kat Scrappiness - is offering 15% off EVERYTHING IN THE STORE and is donating 15% of all sales during this blog hop to Coffee Oasis! Use coupon code: COFFEEOASIS to save! We are also giving away FOUR gift packages, each valued at $25.00 or MORE! We also have a care package from HERO ARTS to give away! Magnuson Custom Stamps - One FREE Custom Made Stamp! Not2Shabby Shop - Five (5) Coffee First stamp sets. Scor-Pal - Three Gift Packs with products such as the Full Size Scor Pal, Scor-Tape and the Scor-Bug Embosser. We are hoping that this blog hop will bring awareness to organizations such as Coffee Oasis and that we can raise a little money and support or them! Kat Scrappiness has pledged to donate 15% of all sales proceeds to Coffee Oasis and our other sponsors have all donated prizes to give away to all of you blog and youtube hoppers! So please visit them and show some support. You can also donate directly to Coffee Oasis here: http://kskat.com/donate. Even if you can only donate $1 or $5, it doesn't matter. Every little bit will help a kid in need! Hello crafty friends! Today is the first day of the Fall/Winter 2018 Coffee Lovers Blog Hop. 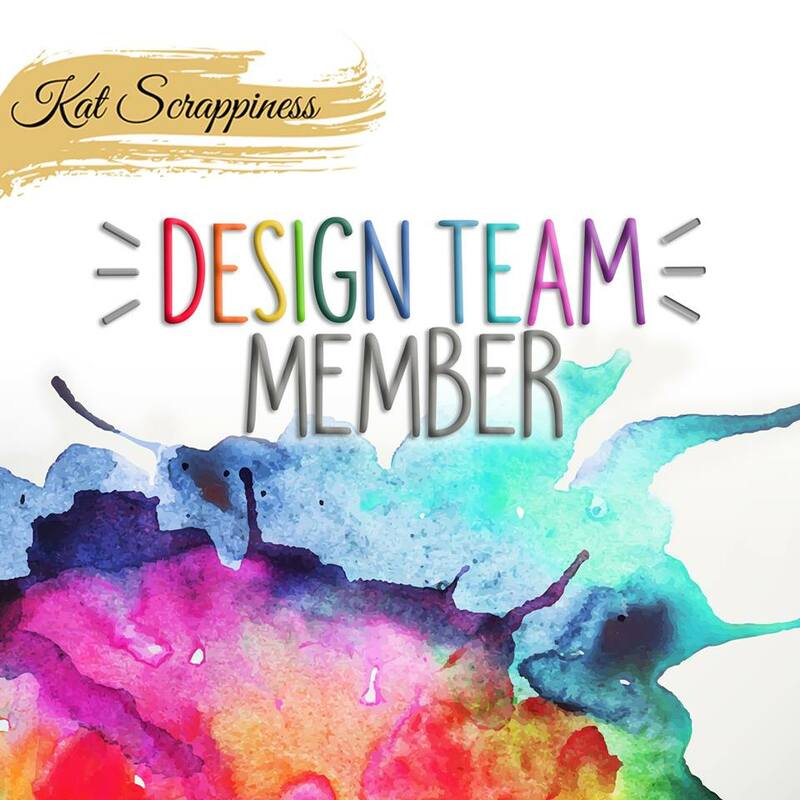 There are a ton of amazing super sponsors including Kat Scrappiness. 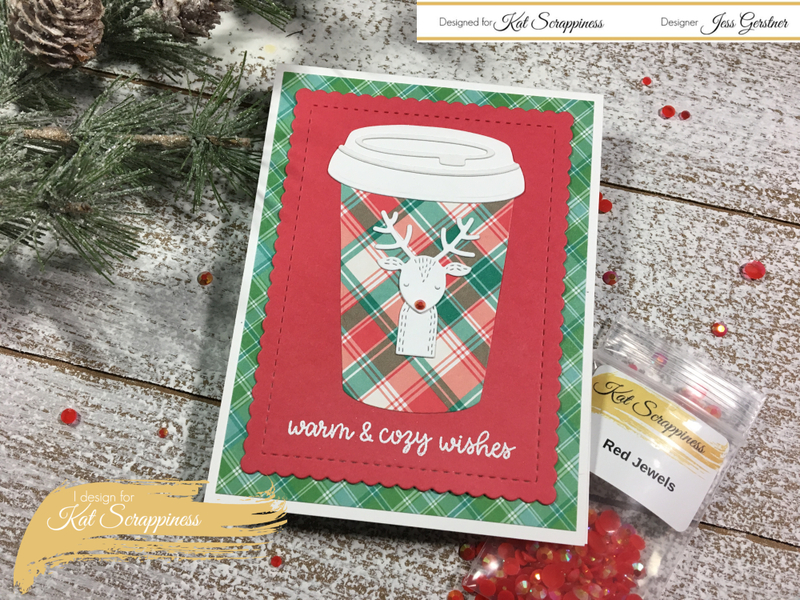 For today's card I used the Kat Scrappiness Coffee cup die and this die is so easy to dress up and change for different cards. The Poppy Stamps Whittle Rudolph die was perfect to make this cup a bit ore Christmas-y. Topping it off with a red jewel nose tied it altogether. 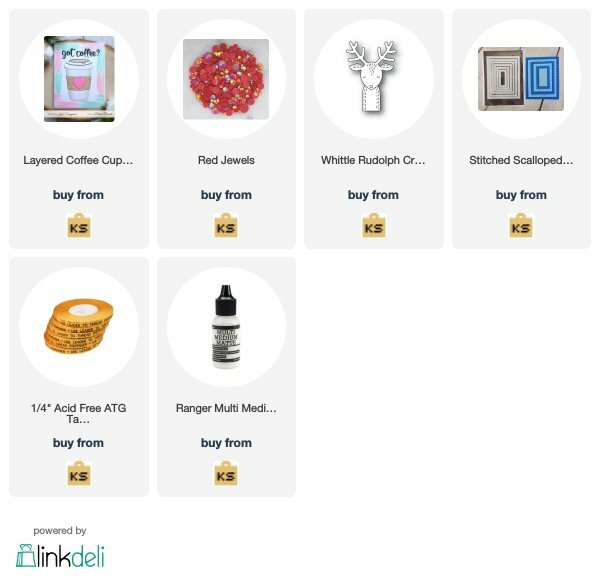 Be sure to add a card to the hop so you can have a chance at these amazing sponsor prizes including a $25 gift certificate to the Kat Scrappiness shop. Also Kat is offering 15% off her shop and you have got to see all the amazing new sprinkles she has added. They will be perfect for add the the whipped cream of your coffee drinks. Use code COFFEE18. Spellbinders provided some of the supplies in exchange for sharing a project. After making the first fall card I was having too much fun to stop so I decided to make another card but in a completely different style. This time I went with pink and shiny. The Kat Scrappiness sequins and jewels added the perfect finishing touches. Use the code Jess10 to save at Kat Scrappiness. My name is Jess, aka JessCrafts. I love teaching papercrafts on my JessCrafts YouTube channel, experimenting with new techniques and coloring up cute images from my favorite stamp companies. FTC COMPENSATION DISCLOSURE STATEMENT As part of my work on this blog and my YouTube channel I have been compensated, monetarily or in product, by some companies. I have been asked to endorse or promote these products however I will not endorse or promote a product I would not personally use. Directly sponsored posts are always marked but any company I am on the design team for it is understood that I receive product from in compensation. Some companies I have received product from include: Digiments, Gerda Steiner Designs, Butterfly Reflections Ink, Create a Smile, Tupelo Designs LLC, Newton's Nook Designs, Just Imagine/Kreaxions, Scrappy Jo’s, Perfect Presentations, and various sponsors of challenge blogs as listed in posts. I use affiliate links. 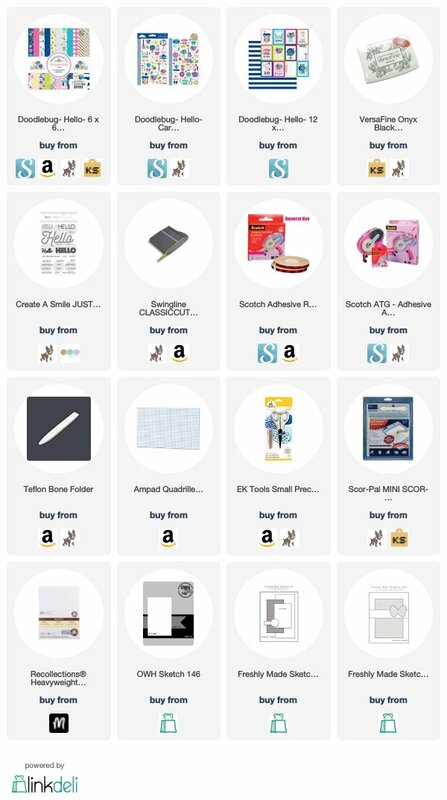 I am an Amazon Associate and Share A Sale Member (Simon Says Stamp, Scrapbook.com, and Sizzix are part of this affiliate network) and use affiliate links when linking products. 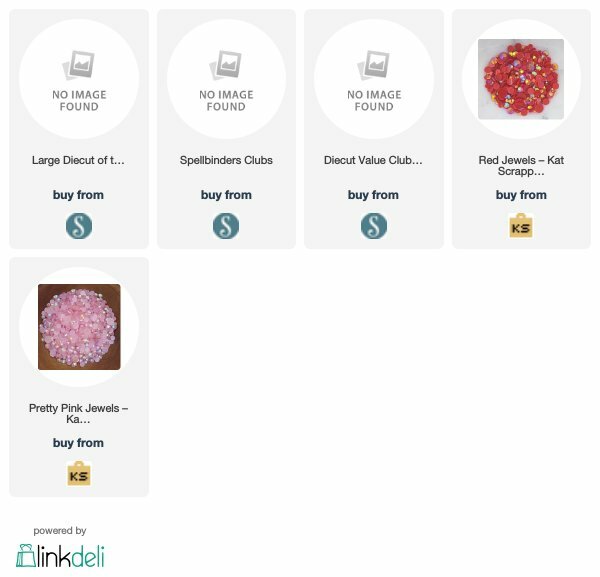 That means I receive a commission when products are purchased through links here at this blog. This is at NO additional cost to you.